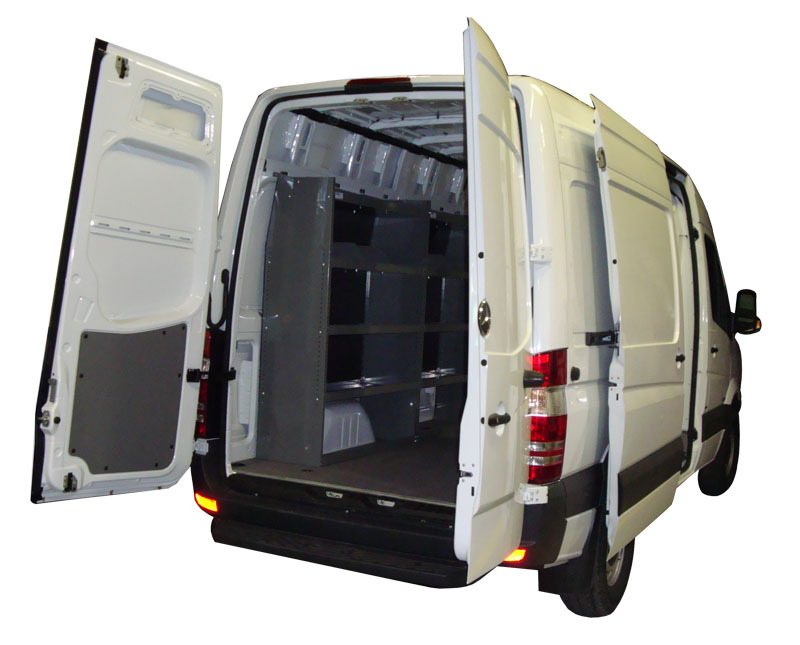 Dodge / Mercedes Sprinter Shelving 59" H x 45" W x 16" D - Model VA6016 Shelves, Small Parts, Materials & Tools Storage for Sprinter Van Fully adjustable shelves, contoured to fit your van, plastic back panel to keep your stuff secure. 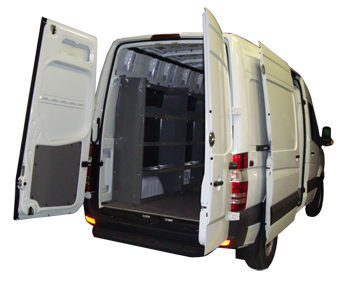 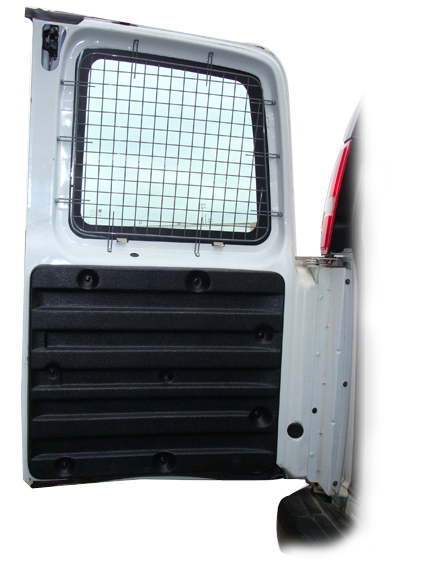 Driver side modules - Curb-side module - Contractor Packages Available. 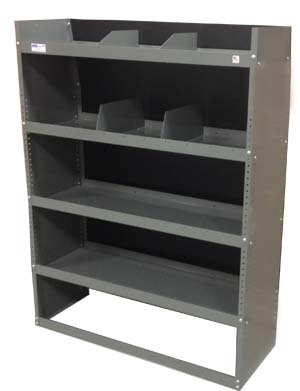 Shelving unit with lockable doors/door kit available - Model VA6016 DK, Drawers, Toolboxes, Accessories.